The Ella C. White Memorial Scholarship Fund prides itself in the daily contribution to individual and community wellbeing. We believe that by sharing common values we can increase the opportunity of students in our community to attend college. 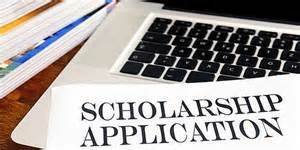 Our goal is to make a difference in your life and those around you by providing scholarships to high school seniors in Beaufort County, South Carolina, who meet the scholarship fund's application guidelines. Learn about our scholarship criteria. Download our 2018 Scholarship Application for New Applicants. Download our 2018 Scholarship Renewal Application.